Dimensions: 8.5 x 8.5 x 4in. 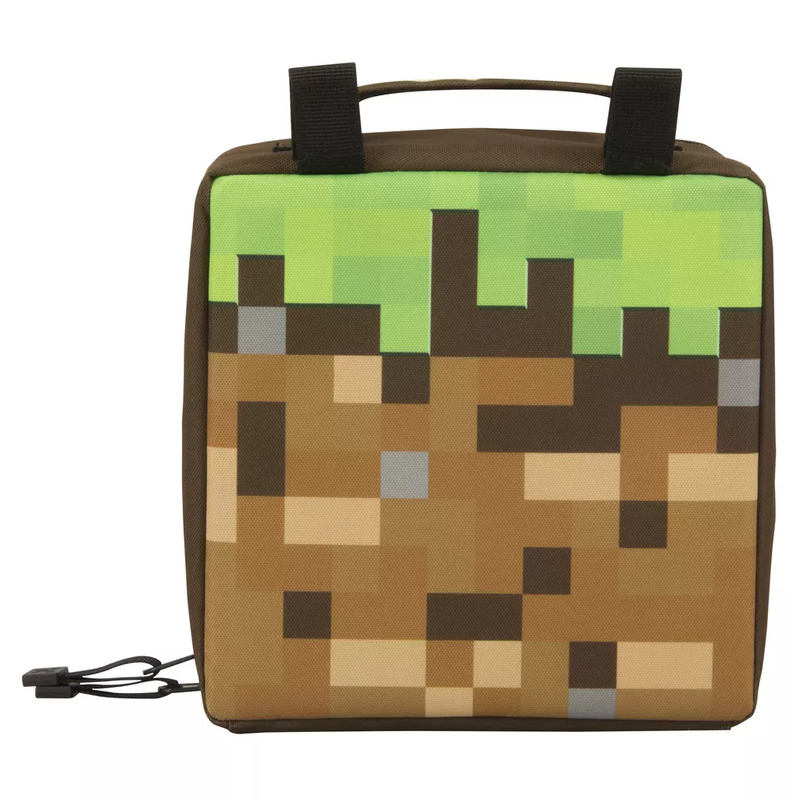 Minecraft childrens lunch bag in a dirt block design. Touch fastening tabs to attach to backpack. Minecraft graphics and custom branding.